The Faculty of Broadcast Technology is one of the Faculties of the GBC Broadcasting College. The Faculty currently runs a Broadcast Technology programme and other specialized courses for institutions, upon request. The Broadcast Technology Programme comprises Radio Broadcast Technology, Television Broadcast Technology and Broadcast Transmission Technology. The Broadcast Technology course covers the Concept of Radio and Television Broadcasting, propagation of sound, Studio and Production facilities, Basic Studio Engineering Wiring, Broadcast Principles, Television Camera Principles and Operations, Synchronization in Television, Colour Television Principles, Video Recording and Format Conversions, Studio Quality Principles, Monitoring and Distribution, Outside Broadcasting (OB) Operations, Acquisition Processing and Transmission of Broadcast signals Microphones and Loudspeakers in Broadcasting, Digital Broadcasting Technology, Digital production software, Practicals in editing and mixing with computer based software, Practical exercises in using the mixing console and with computer based software, Frequency Modulation and Transmission principles. The course is designed to meet Broadcast industry demand and industry standard. 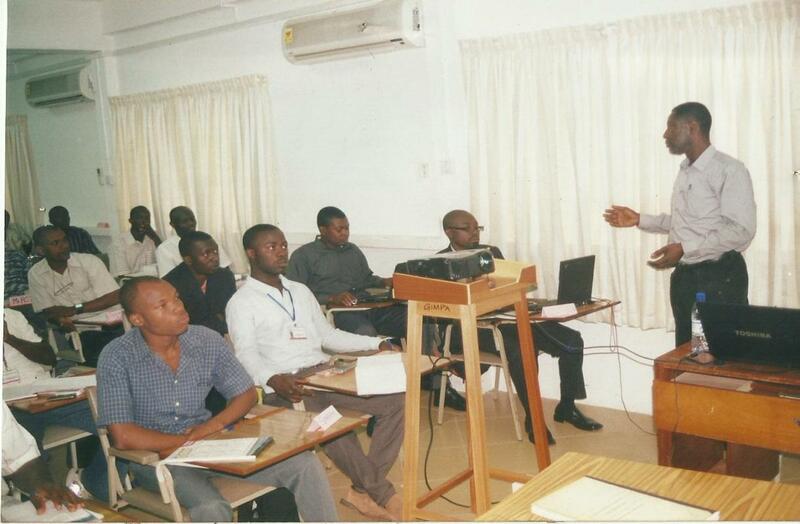 The course consists of classroom teaching, demonstration, practical exercises and projects guided by teaching staff and broadcasting professionals.Additionally, course participants will undertake practical attachment / internship at GBC to hone their skills using ‘State of the Art’ Broadcast Equipment and work alongside experienced Broadcast personnel. At the end of the programme, course participants will be equipped to work in a variety of areas in the broadcast and communications industry like audio systems design and operation, installation, outside Broadcasting(OB’s), maintenance and support, studio and location production, post-production and transmission. The main objective is to produce highly qualified Broadcast Technicians and Engineers with advance knowledge and technical skills in the Broadcasting Industry capable of working with any Broadcasting industry in the world being Radio, Television, Broadcast transmission and production industry. To provide the appropriate knowledge, skills and attitude that will enable trainees to operate efficiently,any state of the art broadcast equipment dealing with acquisition, processing and transmission of broadcast signals in any broadcast setup.